Professional Grade - OEM High-Noise, Dual-Muff Headset with PTT. Universal 5-pin cable connector port. Made in USA, sealed push-to-talk. Available in Black, Red or Carbon Fiber. 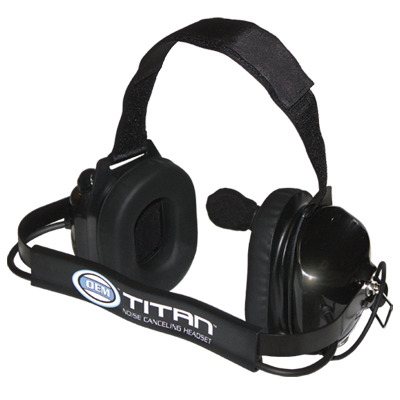 Back of Titan™ OEM® Headset.